The extension of the Brexit deadline to October 31 and avoiding a “no deal” Brexit outcome this week will give South Africa space to maintain continuity and predictability in its important trade relations with the UK and the European Union (EU), says North West University (NWU) Business School economist Professor Raymond Parsons. He notes that the EU, as a bloc, is South Africa’s largest trading partner, with the UK as the country’s second-biggest trading partner in the EU; therefore, a smooth and orderly Brexit is in the country’s best interests. He posited that a “no deal” Brexit outcome on April 12 would generally have caused negative economic consequences, not least because of its ripple effects on the world trading system as a whole. He indicated that, in this scenario, the UK would have exited the EU overnight and immediately fallen under the World Trade Organisation’s (WTO’s) generalised tariff rules, which would have created much uncertainty and confusion. 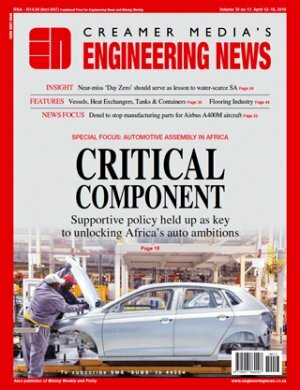 Moreover, with Britain also intending to unilaterally impose emergency overall tariffs, a proportion of these would have caused collateral damage to some sectors of South Africa’s economy, such as its automotive industry, Parsons noted. Although there is still uncertainty as to what the outcome on or before the deadline may be, Parsons acclaimed that the UK now, at least, has a valuable extra period in which to politically decide on its “controversial” future relationship with the EU. He also called for South Africa to use this time to reaffirm, adjust or renegotiate, where necessary, its existing trade agreements with the UK and the EU to ensure continuity and predictability in its existing trade relationships with these entities. Further, he noted that the Department of Trade and Industry, business associations and South African businesses with links to the UK economy must continue to monitor further Brexit developments as they unfold in the coming months.